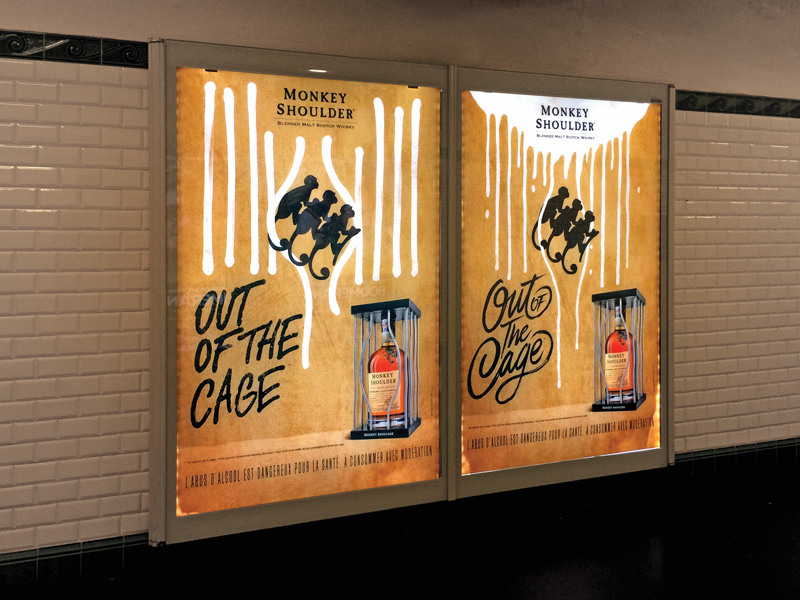 Illustration for the Monkey Shoulder advertising national campaign in France. 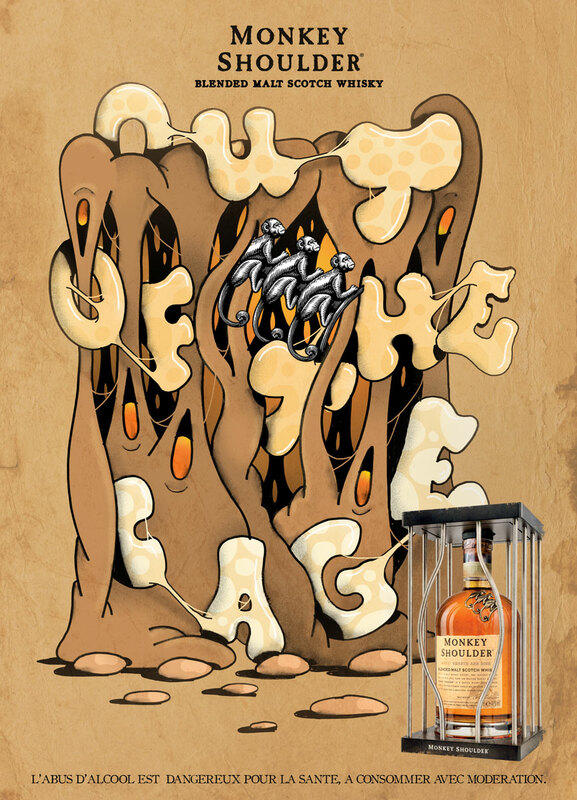 For this campaign, the customer wanted three artists, they choosed Ilk, Tyrsa and Faust. First illustrations are proposals not selected by the customer. 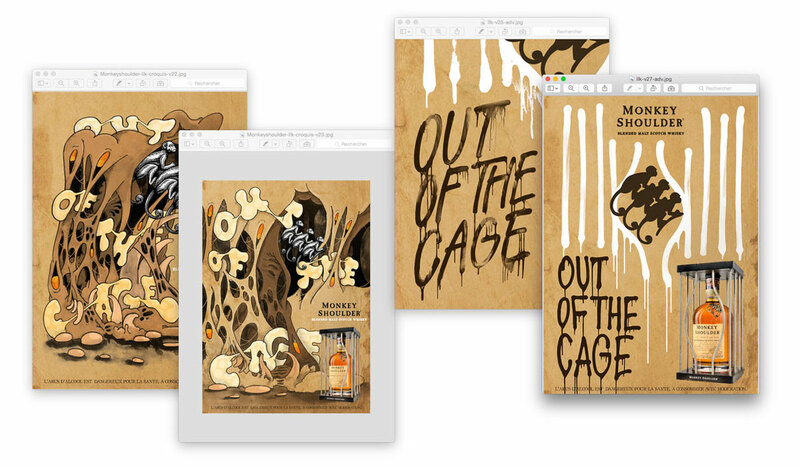 Finally they choosed something more type than illustrative, the final photo is the version validated by Monkey Shoulder. 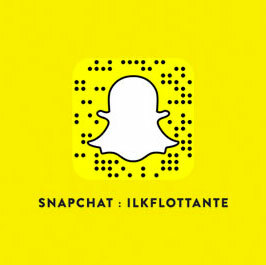 Agency: Sid Lee Paris.